Google underwent a major restructuring today: a newly created umbrella firm called Alphabet now owns the firm along with every other company that's part of it. Google itself becomes a wholly-owned subsidiary of Alphabet, which Larry Page described as "mostly a collection of companies" in a blog post. Other businesses that are "pretty fair afield from" Google's core internet products will fall under Alphabet. The new alignment creates a "slightly slimmed down" Google, untethered from companies that don't deal with Google's remit. Now, Google's main business will include search, ads, apps, YouTube and Android. While Google was doing fine as it was organized, Page and Brin felt it could be "cleaner and more accountable" if it was restructured into Alphabet. As Alphabet, Google itself can have greater focus, Page noted. He and Brin are looking forward to "getting more ambitious things done" and improving transparency and oversight as to what the company ... make that, companies ... are working on. The new set-up also holds strong, independent leadership as a hallmark: each Alphabet business will have its own CEO. The biggest appointment of all: Sundar Pichai, formerly head of internet and mobile product development, is now CEO of Google. Brin will become president of Alphabet and Page the CEO of the new firm. Brin and Page will still oversee each business within Alphabet. During fiscal reporting, Google's results will be separate from the rest of Alphabet's businesses. This new reporting process begins in Q4. While Google will focus on internet and related services, including Google Photos, Google Now and YouTube, Alphabet's remit will be, well, everything else. The experimental Google X lab (and its Wing delivery drone initiative) falls under Alphabet, as does Nest, Google Fiber, and the investment arms, Google Ventures and Google Capital. Calico, the life longevity initiative, is also part of Alphabet. 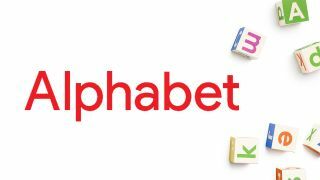 Page explained Alphabet is not meant to be a "big consumer brand with related products - the whole point is that Alphabet companies should have independence and develop their own brands." More: What is Alphabet, Google's new parent company? Google's stock rose by 5% in after-hours trading, so investors are clearly pleased with the announcement, at least for now. As for the rest of us, it will take some getting used to "Alphabet," though it seems we're in for a leaner, meaner search giant (among other subsidiaries) moving forward.